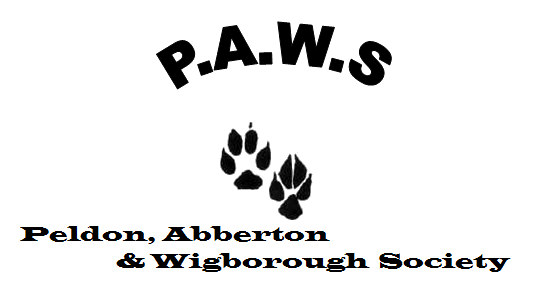 This month was PAWS AGM followed by a Quiz. After the outgoing President’s report and the report by the Treasurer, Jane Anderson, Bry Mogridge was elected as the new President. 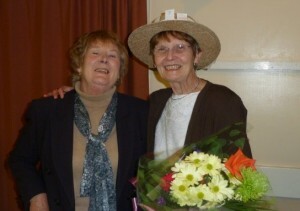 One of Bry’s first duties was to present Caroline Wilson, the outgoing President, with a beautiful bouquet of flowers. outings that had been arranged including Christmas Dinner at The Old Siege House. Everyone was welcomed to the meeting by the chairman. A meeting of Winstred Hundred Parish Council will be held at Abbotts Hall Farm, Great Wigborough on Tuesday 9th May 2017 at 7.30pm to which the Councillors are summoned to attend. Addressed from any of the following may take part: County Councillors, Borough Councillors, Police and any other body or organisation. 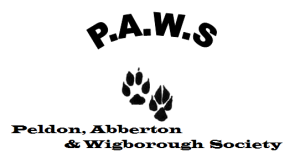 44 members attended PAWS AGM on 28th March. The formal part of the evening was dealt with first with Jackie Manning reading out her President’s Report for the year followed by the Treasurer’s Report by Jane Anderson. 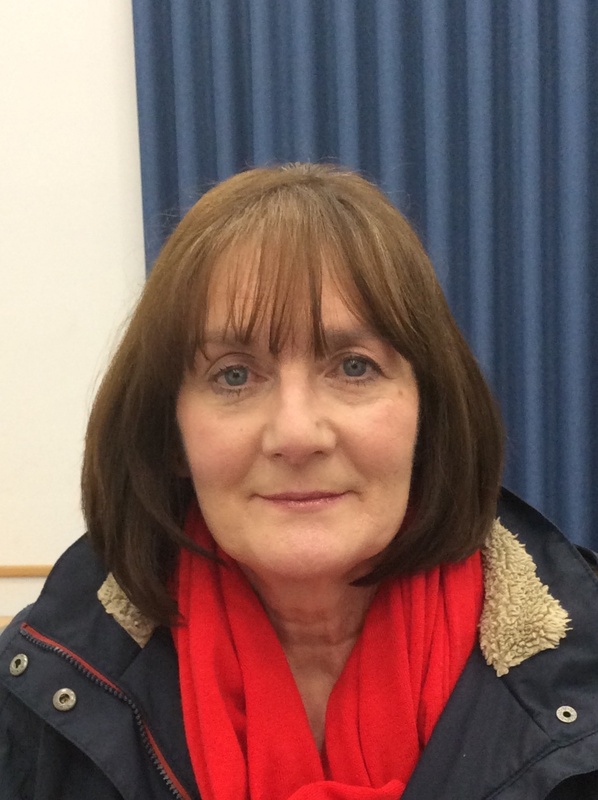 The current committee were re-confirmed for the current year with Lorraine Davies being confirmed as President and Caroline Wilson as her Vice. 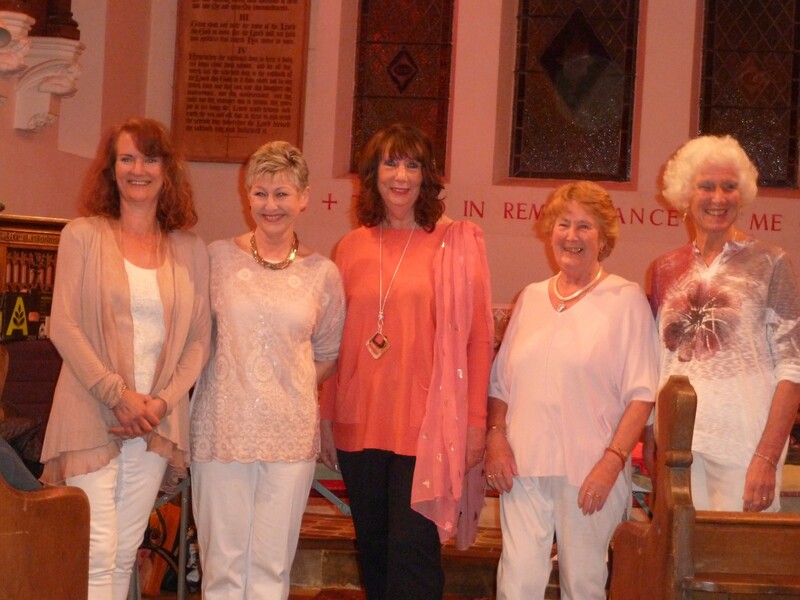 The AGM was then followed by a Fashion Show provided by Lisa Merrett from Alaric Fashions. Models for the night were (from left to right in the photo), Alex Henderson, Janet Sheehan, Vivienne Ohmke, Jackie Manning and Bry Mogridge, who all did an amazing job. After the show members had the opportunity to browse and buy. Lorraine ended the evening by presenting Jackie with a bouquet of flowers and thanking her for all her hard work and said she was looking forward to the forthcoming year. PAWS next get together is on 25th April when Lucy Allen will talk about “A Stuntwoman’s Life”. Membership is currently full but visitors are very welcome at a cost of £5.00 which includes refreshments. At our last Meeting on 28th February, 39 members plus 5 visitors came along to hear Alan Bourne give us the History of Perrywood Garden Centre. 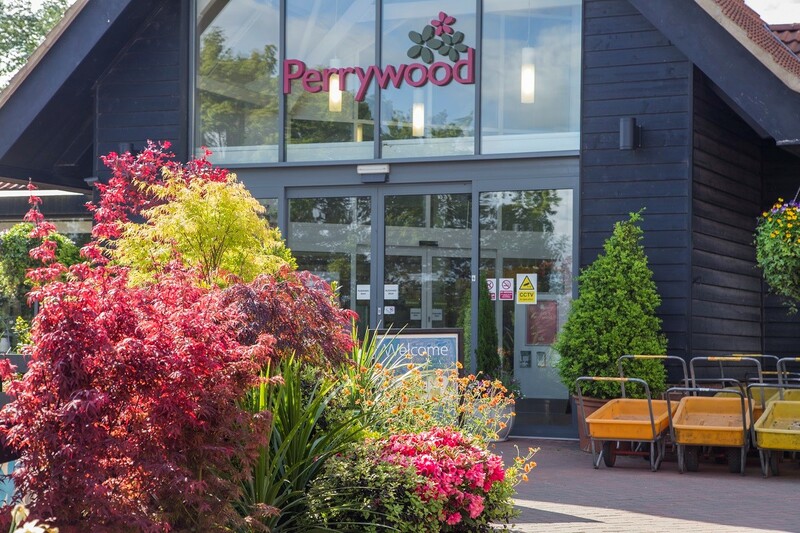 Perrywood is an independent, family-owned garden centre and nursery run by Alan, Karin and their children Simon & Hannah in Essex. We work hard to produce and source quality plants and products for your home and garden. Whether you are a plant enthusiast or want a day out with the family we have the products, customer service and facilities you are looking for. Our large covered areas allow you to visit whatever the weather, and you can enjoy a home cooked meal or cream tea in our light, bright modern coffee shop. Our 10 acre site is surrounded by beautiful countryside, backing onto woodland and views over the Kelvedon valley. Perry Wood is next to the site and lent its name to the business back in the 50’s when Alan Bourne’s parents, Mary and Les, bought the land and called it Perrywood Nurseries. They started out growing potatoes and pick-your-own strawberries. After working for Colchester parks department, and seeing the supermarkets begin to take over the strawberry market, son Alan Bourne started to grow plants to sell from the front of the property and took over the business with his wife Karin in 1984. Over the next 30 years they gradually grew the site into an award-winning garden centre. It now attracts customers from all over Essex and further afield. Two of Alan and Karin’s children – Simon and Hannah – now help run the business. 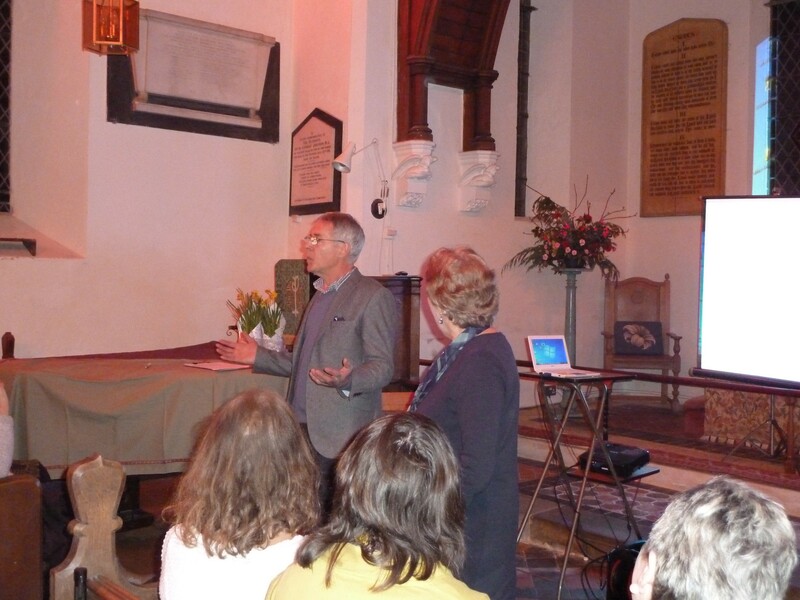 A truly interesting and informative evening and we hope to follow this up with a visit and tea. Our next get together is on 28th March and is our AGM and therefore a closed meeting. Members will also be treated to a Fashion Show with the opportunity to browse and purchase should they so wish.